Alas! there was no resurrection. 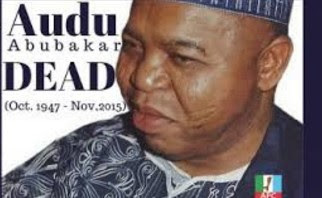 Those who prayed, hoping that Prince Audu Abubakar would come back to life had left. Muslim clerics have offered prayers and he has been buried inside his compound. The popular politician was laid to rest amidst tears on Monday afternoon. May his soul rest in peace.